Happy superbowl everyone! I wanted to challenge myself this week by baking something a bit unusual. I decided to go with a lemon cake and then add key lime jello to make key lime cake. I layered it with a tequila/simple syrup bath and vanilla buttercream. The result was surprisingly light and refreshing. 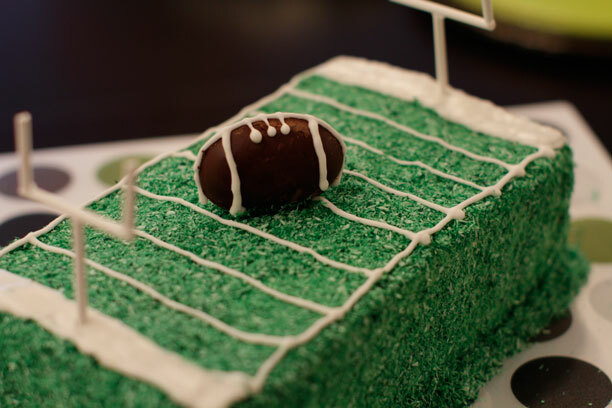 Since the cake was already green I decided to dye some coconut green and cover the cake to look like a football field. 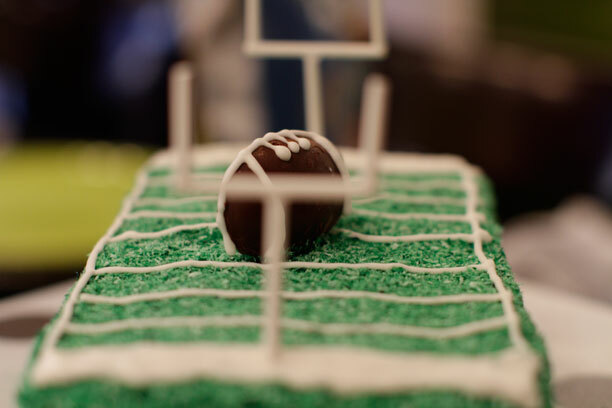 I topped it off with royal icing field markers a giant chocolate football (made from an easter egg candy mold) and field goal posts made from lollipop sticks. I wanted to go edible with those but I ran out of time. It was a tasty and unusual cake. I think I’ll keep it in the recipe book.